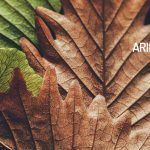 Here is your Aries Horoscope for October 2018. Every month, you will find at WeMystic the astrological forecasts for your zodiac sign. Although the Sun will remain in House VII of Aries until 22 October, there will be little room for action for ram natives interested in activities of a romantic nature. Venus will be retrograde in the House VIII of Aries, from October 5, which will involve awakening old wounds, associated with intimacy and trust within the relationship. It is worth noting that the Sun will enter the same location (House VIII of Aries) on 23 October, indicating that you need to eliminate that which weighs heavily on your heart to illuminate the hidden corners of your soul. Pride and rancor are not good counselors. Free yourself from everything that no longer contributes to your present, banish the past and bet on discovering the true desires of your soul (the Venus Star Point will take place on 26/10). It’s time for your true transformation. The financial situation will seem complicated for the sons and daughters of the ram, during the month of October 2018. Not only will it have retrograde Uranus in House II of the sign, but the asteroid Juno will enter in the same location also apparent retrocession, on 24/10. Retrograde Uranus in House II of Aries refers us to outlandish ideas when it comes to managing and obtaining resources that, although they may have a positive base, will not be fully exploited, due to the lack of planning and haste in the processes. Likewise, Juno retrograde in this position of the birth chart, refers to payment commitments (debts) that at the time you went through high, but now you must honor, under penalty of suffering major mishaps in the future or damage your credit history. Fortunately, Jupiter is located in House VIII of Aries, so you will have the support of a couple and close relatives to resolve any eventuality. However, it is crucial that you keep in mind that Venus will be in apparent retreat in the same sector of the letter, starting on October 5. Retrograde Venus in House VIII of the Ram emphasizes that, although you receive economic and moral support from your loved ones, it is an event that is generating underground storms. Some may think you are irresponsible or take advantage of the kindness of others and circumstances. If you wish to break with this negative pattern, do not enter into direct confrontation with the members of your clan. Remember that Mars, planet regent of the ram, is under the influence of Aquarius, a transit that can make you a benefactor or a tyrant (before the eyes of others). The Full Moon in Taurus on October 24 will affect House II of Aries, announcing the right moment to nip in the bud the habits that block your relationship with money, sabotaging the trust of others in your economic discretion. At the working level, devote time to the organization of your ideas and pending tasks. Mercury’s entry into House IX in Aries (31/10) will open the doors to opportunities for professional and academic expansion, especially in areas such as international contacts and the learning of new languages. The physical condition of the natives of Aries, will not have significant variations, during October 2018. The presence of Palas in House VI of sign, points towards the reorganization of schedules and routines. In low vibration, this position of Palas can propitiate in the subject certain hypochondria, and stress (motivated to the increasing concern to reach proposed labor objectives, or to maintain the control). The retrogradation of Venus in House VIII of the ram, as of October 5, warns of the possibility of suffering the sequels of ailments that had not manifested themselves or were believed to have tucked in. In this sense, it is advisable to go to a trusted medical specialist in the event of any anomalous symptoms (especially those related to the genital organs and the reproductive system). Emotionally, the apparent retreat phase of the planet of desire is capable of releasing the effects of ancient traumas, associated with sexual issues and taboos (cultural, family, religious or generational). Considering that Chiron continues to retrograde in House XII of Aries, like Neptune, it is a good time to embrace reality and request formal psychological support (if necessary). Retrograde Chiron in House XII facilitates the expression of emotional wounds that were “buried” in the unconscious, something that can overcome the tendency to evasion sponsored by Neptune retro. Both Neptune and Chiron, in retrograde movement, alter sleep patterns, either by the manifestation of nightmares, a high dream activity (constant lucid dreams), or because it is simply difficult to rest (insomnia, night terrors). It is important to establish a routine that will help you sleep better, such as practicing relaxation exercises, always going to bed at the same time, removing electronic devices from your immediate environment, and reducing the intake of foods that are very spicy, greasy or loaded with sugar. If you have the opportunity to make a short trip or take an expired vacation, take advantage of it, the entry of asteroid Psyche in House IX of Aries indicates that moving to unknown territories (out of the comfort zone) will promote self-knowledge, understanding and self-pity. Let us remember that Psyche teaches us to love the most vulnerable parts of the soul, accepting them as a fortress, as well as the most direct path to connection with the inner world and spirituality.